Are you struggling to make your first dollar online, or struggling to scale your income up to an amount that warrants you quitting your 9-5 for good? Are you tired of all the phoney systems, and false promises being sold to you on a daily basis? So was I.
I struggled for many years before I finally got my "breakthrough" in Internet Marketing. I don't want to bore you with the details, but basically I've dabbled in just about EVERYTHING when it comes to making money online. Adsense, Adwords, niche blogging, site flipping, eBay you name it, I've probably tried it. I was paralysed with information overload for a LONG time, and although I was making a few dollars here and there, I certainly wasn't making anything close to a full time income. My first REAL success with affiliate marketing (and making CONSISTENT money online) was in early 2007. I built a niche affiliate blog reviewing a popular product, and it made a whopping $800+ in commissions in its first month! I had finally discovered the "secret" to building a profitable niche blog. And it was a lot easier than I thought! I got to work building lots of these "cash machines", and 3 months later, I quit my job to work full time online. Since then, I have built hundreds of blogs, and generated hundreds of thousands of dollars in revenue. I firmly believe that affiliate marketing is STILL one of the easiest ways for ANYONE to start generating a full time income online. But you're not here to read about me, right? Or maybe your goal is to reach $100 a day, and finally quit your job? This WSO is not about creating hype â€“ it's about a system that I use every day, that works for ME and countless others. In fact, I'm going to show you the EXACT system I taught a complete newbie, to go from $0 - $1000 a month (with just 1 site is his very FIRST site) in less than 90 days! That's over $13,000 in just 11 months, with 1 simple niche blog! 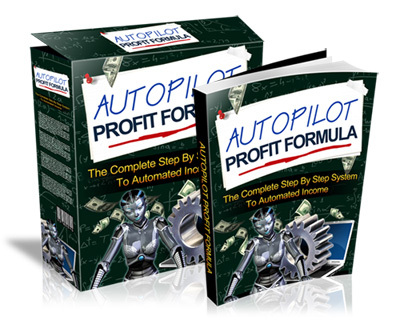 That income comes in virtually on autopilot! And this is from a guy who barely knew what a domain was, just 1 short year ago. He went from unemployed (and broke) to maintaining 7 such sites and each earning between $300 and $2000 per month. And even now, he STILL doesn't have a clue how to make a video! All he had was this exact system that I'm going to teach you now. And over the months his site has gone from strength to strength. As you can see it has a whopping high bounce rate of over 79% (most marketers will tell you that's NOT a good thing) and the average time spent on the site is just 1 minute. Yet this site makes over $1000 every month! My visitors see exactly what they want on the very first page they land on, and immediately go to the merchant site to buy! How much time do I spend working on this site every month? A grand total of about 2 hours (adding new content) and I spend about $50 a month on backlinks (you don't have to outsource - you could do it yourself). It's ranking on page 1 of Google for 2 VERY strong buyer keywords. Imagine what YOU could do if you built 1, 10 or even 20 of these sites? The possibilities are endless! You can repeat the process over and over, creating as many autopilot income streams as you want (or have time for!). But for now, let's focus on going from $0-100 a day and it's completely possible to do this in less than 90 days, even if you have ZERO experience right now. This method is so simple, that it's actually impossible to fail if you follow it to the letter. The key is to take action and leave the ebook buried on your hard drive and you'll never make a cent!